I was invited to be the first artist (AIR) in residence at Daring Greatly, the Baptist Care Australia conference, at the Hyatt Regency, Perth, 7-9 October 2015. My role was to participate in the conference through, developing a series of non-verbal responses to their discussions and speakers. Over the day and half I created 9 sculptures during the talks and discussions. ​The works were not altered after the event, apart from assembling the first and last works, and fired in a kiln and decorated. I would particularly like to thank Jan Grimoldby, the Social Policy Developer at Baptistcare, for driving this initiative. 1. Counting: ​Terracotta paper clay, with post firing re-assembly. Kanthal Wire, Gold leaf. Enamel paint. Speculating about how many delegates would be at the conference. 2. 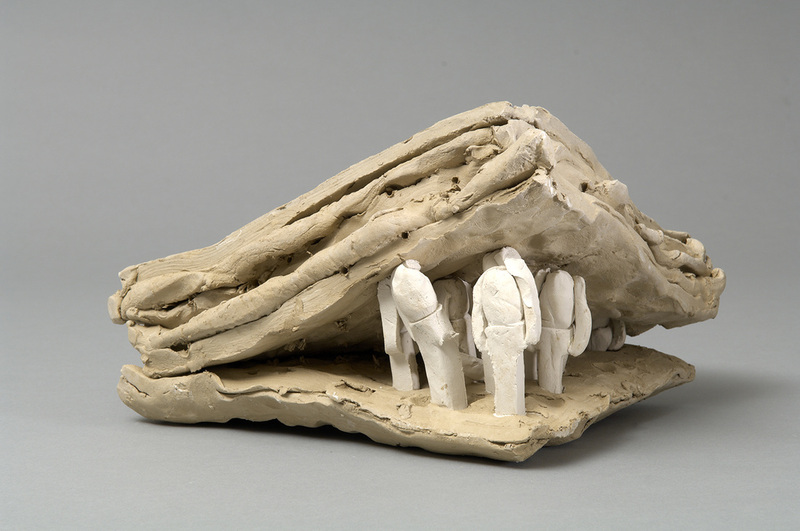 Dare: Earthenware and terracotta paper clay. Kanthal Wire, Enamel paint. 4. 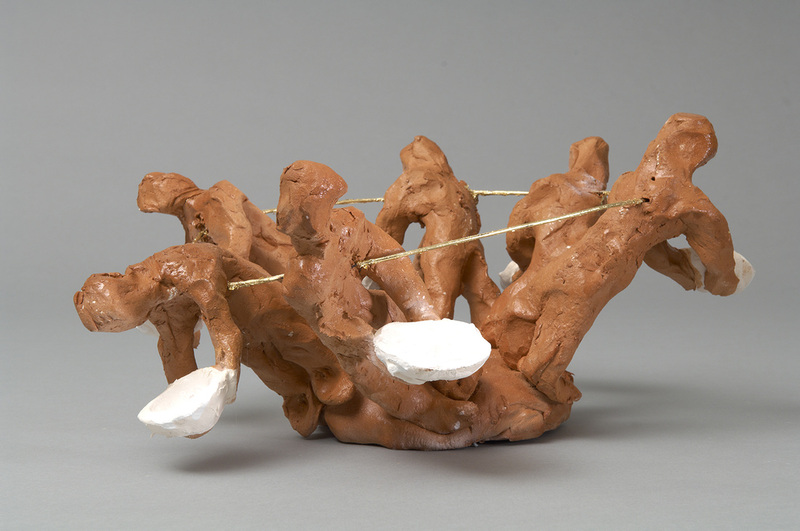 Swings and ... Earthenware paper clay. Enamel paint. Stream 1: Mission and Service Delivery cont. 5. 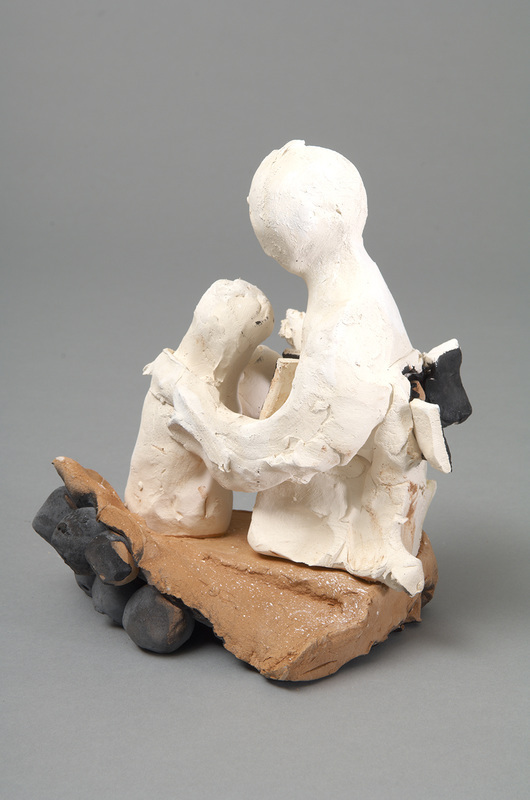 Pressed: Unfired Earthenware and terracotta paper clay. Bondcrete. ​Stream 2: Economics and Philanthropy cont. 6. 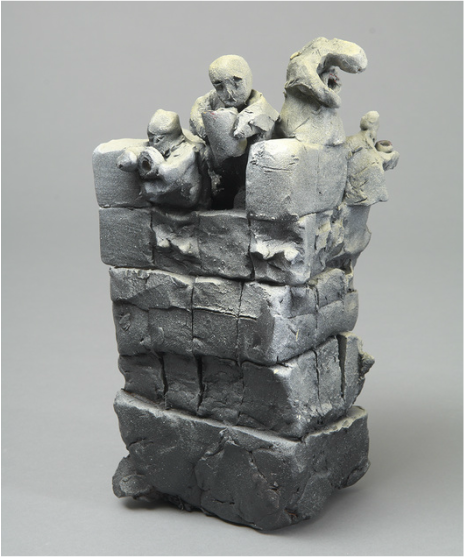 Altitude Attitude: Ceramic earthenware paper clay, enamel paint. 7. 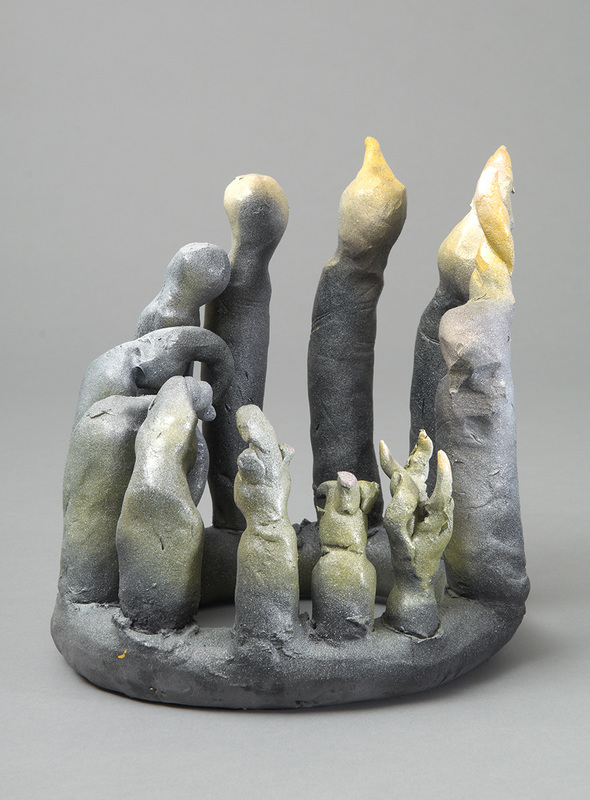 Nurture: Ceramic earthenware paper clay, enamal paint. ​Stream 3: Advocacy and Humility cont. 8. 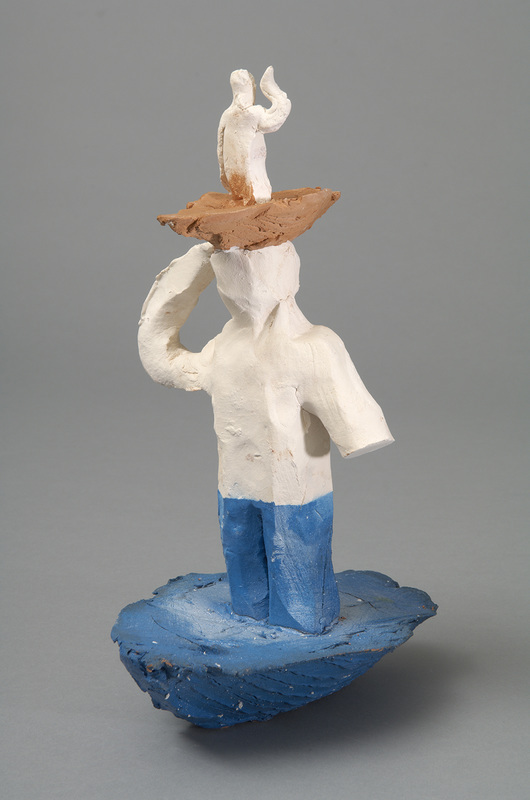 Confused: Ceramic earthenware paper clay, enamel paint. 9. 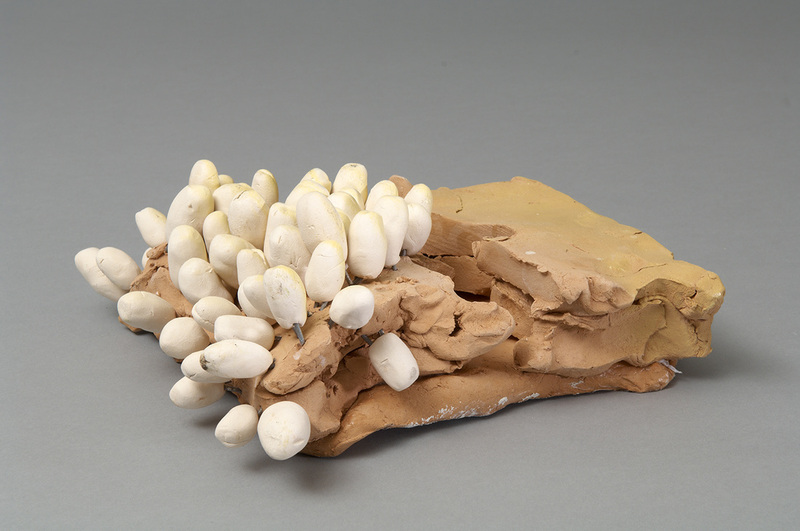 Lean out: Ceramic earthenware and terracotta paper clay, kanthal wire, gold leaf, enamal paint. Debate: Would you employ Jesus?